Locke is reading Arthas by Christie Golden. I haven’t read it yet, but I heard it’s good. It’s sitting on my scanner. Watching. This entry was posted on Monday, May 4th, 2009 at 12:00 am and is filed under Comics. You can follow any responses to this entry through the RSS 2.0 feed. Both comments and pings are currently closed. 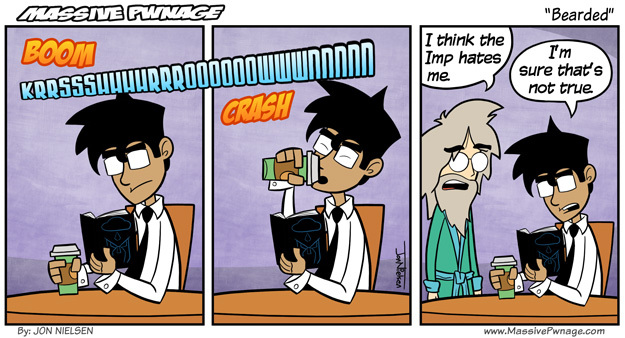 Ence should be the one hating the imp. He stole Ence’s coat.